Equipped with sponges and brushes, this set helps children practice taking care of their horse. 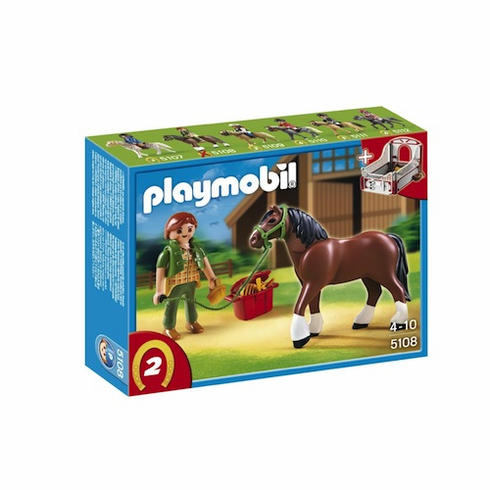 The second in a selection of six collectible sets, this set includes one figure, one horse, a stable, and a variety of other accessories. A nameplate also allows children to label the stable with the horses name.